Four years after the release Beyond the Martyrs, mighty U.S. Heavy Metal torchbearers ARGUS will release From Fields of Fire September 8th on Cruz Del Sur Music! From Fields of Fire is the defining moment from a band that has delivered the goods album after album. It is the highlight of their career to date and it is an album that will be seen as a highlight in heavy metal circles, not just this year, but for years to come. ARGUS no longer needs an introduction. 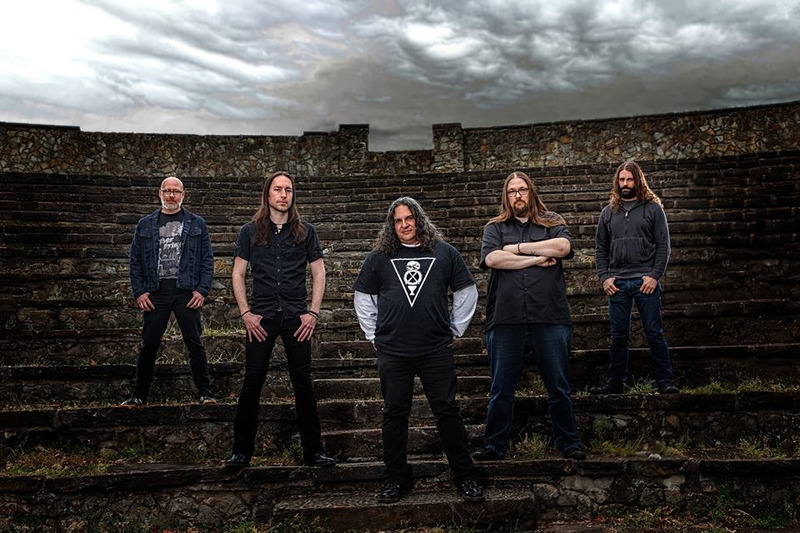 Three studio albums, three EPs, several European tours and US showcases and festival appearances have established the name of ARGUS as an established force in the Heavy Metal Universe. Yet, ARGUS is a band not content to rest on its achievements. This is a band that is still hungry – a growing and strengthening animal that shows no signs of slowing down any time soon. Judging from the outside almost nothing seems to have changed this time around on From Fields of Fire. Another exceptional and visionary cover provided by Brad Moore, and an Intro / Outro on the track list, another of ARGUS‘ trademarks through all their records. But it’s when you get on the inside, when you bite this album below the flesh to the bones that you realize ARGUS has not only been able to maintain their uniqueness, but the band has raised the quality of their creativity and therefore raised the stakes for their future. There’s a definite step ahead in terms of production and songwriting, which has reached the highest quality with the addition of producer and guitarist Dave Watson and bassist Justin Campbell in the line-up. The tense opener “Devils of Your Time” and the emotional closing “No Right to Grieve” are the songs that most clearly express their courage and confidence of exploring unusual sonic paths. From Fields of Fire is an album that whose parts are as strong as the whole, where each track is a highlight; yet, it is also an album that demands to be absorbed as a whole where the music, lyrics and atmosphere reach deep inside of you and take root as your appreciation of this band and this music grows to be a part of you. This entry was posted on July 5, 2017 at 8:42 pm and is filed under Hard Rock, Heavy Metal, Metal, metal music, Music, news, rock music, world news with tags argus, metal albums 2017, Metal News, metal odyssey. You can follow any responses to this entry through the RSS 2.0 feed. You can leave a response, or trackback from your own site.